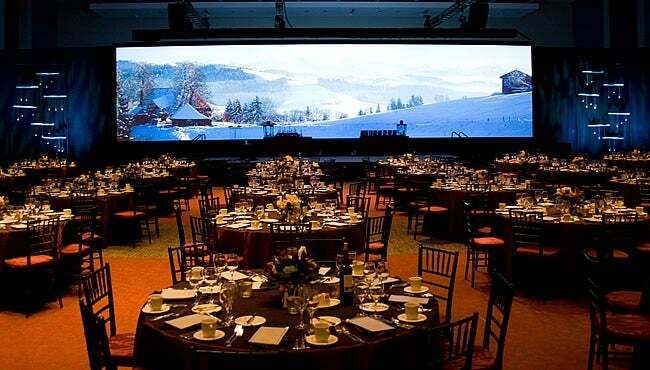 The MassMutual Center’s 15,000 contiguous square foot Grand Ballroom is Western New England’s largest ballroom—a perfect setting for your banquet, general sessions, or entertainment. It can accommodate up to 1,500 people, or you can choose a customized layout for a more intimate event. The elegant room can be subdivided in half to support two simultaneous presentations or host a meal function on one side and a general session on the other. Built-in technology fulfills the most ambitious AV requirement. There’s even a Green Room for your speakers or entertainer.